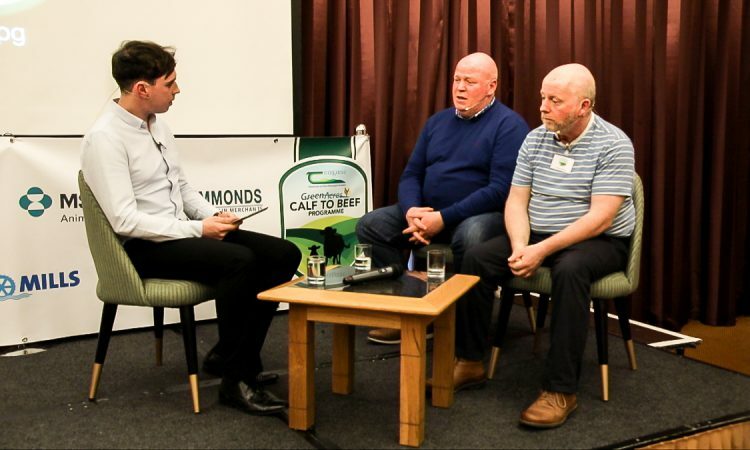 The second phase of the Teagasc Green Acres Calf to Beef programme was launched earlier this week, Tuesday, April 9, at the Tullamore Court Hotel. Phase two will involve 14 demonstration farms – from different parts of the country – that are rearing and finishing dairy-bred animals. 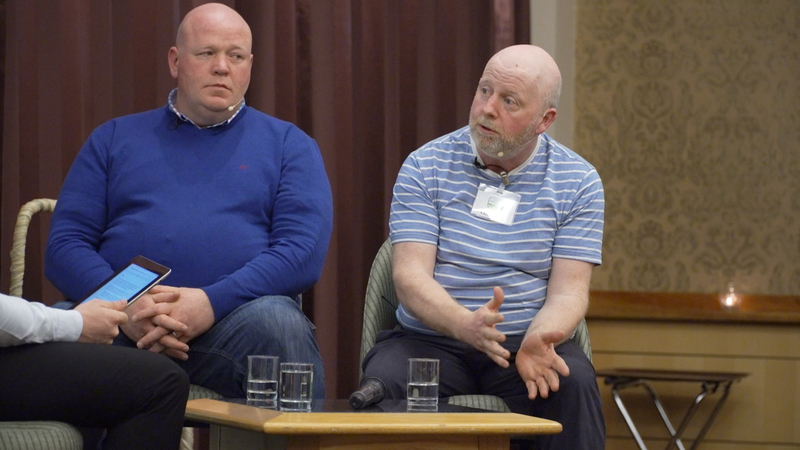 On the night, to draw a line under the first phase of the programme – which ran from 2015 to 2018 – beef farmers Michael Ryan from Co. Westmeath and Christy Dowd from Co. Roscommon reflected on the lessons learned and key messages they took from phase one. They also offered their advice to the new farmers involved in the programme. Farming in Castlerea, Christy Dowd was a suckler farmer, selling bulls at nine-to-12 months and heifer stores at 18 months. However, the system he was operating just wasn’t profitable enough. The output was low and the suckler system was costing too much; the land was fragmented and cash-flow was poor. Christy decided in early 2015 that he was going to introduce a calf-to-beef system to increase output. The stocking rate was increased with the purchase of approximately 50 Angus and Hereford heifer calves. The idea was that the suckler cow numbers would be reduced as the calf-to-beef number increased. Reflecting on the past three years, he said: “We’re now pushing more on the grass end of things to get earlier and later use of it. Last year, people were worried about drought in a lot of places, but it wasn’t a massive problem for us. “The wet was a bigger problem for us over the last few years. That’s why I moved towards the dairy calf-to-beef system; it is a smaller beast. 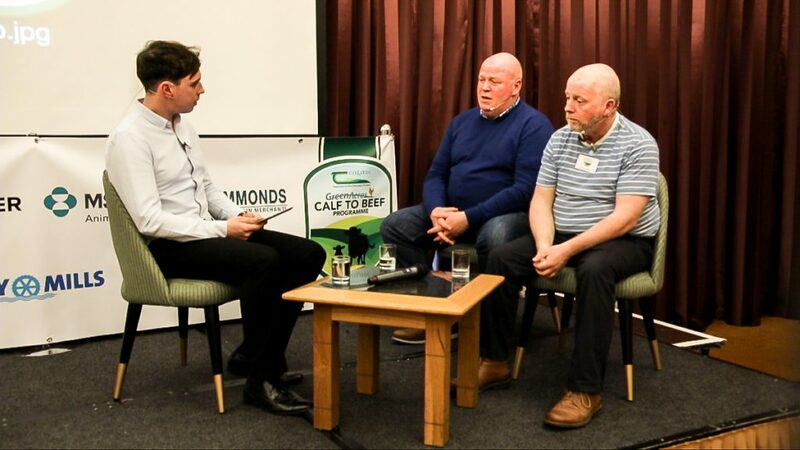 The plan for Christy over the course of the Teagasc Green Acres programme was to drive output on the farm and sell more kilograms of beef per hectare by utilising more grass, while also improving on animal health. 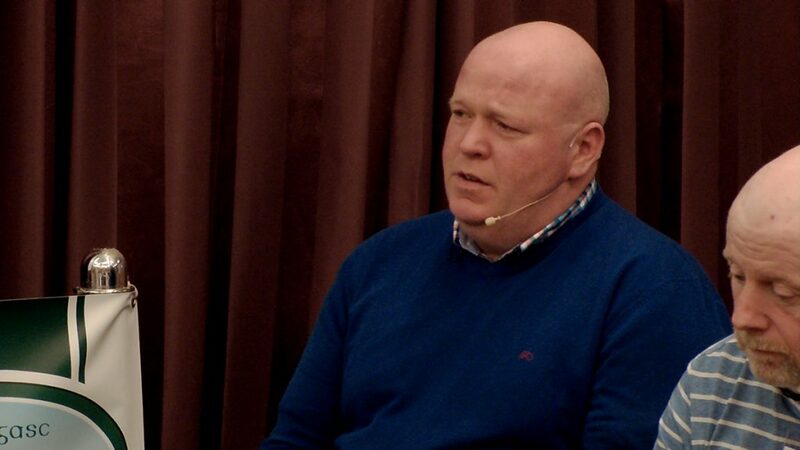 “If you’re not getting over 200kg per year off grass you’re not going to do much. If you are not getting the kilograms off the grass you’re going nowhere,” the Roscommon man explained. Offering advice to the next phase participants, he said: “Attention to detail would be a big thing. You can go to all the meetings and they will tell you what to do, but unless you can implement it, it’s no good. With beef farmer and rugby legend John Hayes in attendance, Christy compared dairy calf-to-beef systems to a rugby game. “Everybody says that rugby is a game of inches; the beef game is the same thing. If you don’t do it all in a line and you don’t go through all the phases, you’re not going to score at the finish. That’s the way I look at it anyway. You have to make use out of all the people in the programme. There will be the farmers, the advisors and all the specialists. Commenting on the benefits of weighing cattle, he said: “Weighing is very good to see where you are going. We used to be in milk and you would know every two days whether you were doing right or wrong because the milk tank would be up or down. “The weighing scales will do the same in beef farming; I definitely think its the way to go,” he highlighted. Christy has since phased out the suckler cows and now plans to continue with the calf-to-beef enterprise, buying approximately 100-110 calves per year, slaughtering cattle at 24 months-of-age. 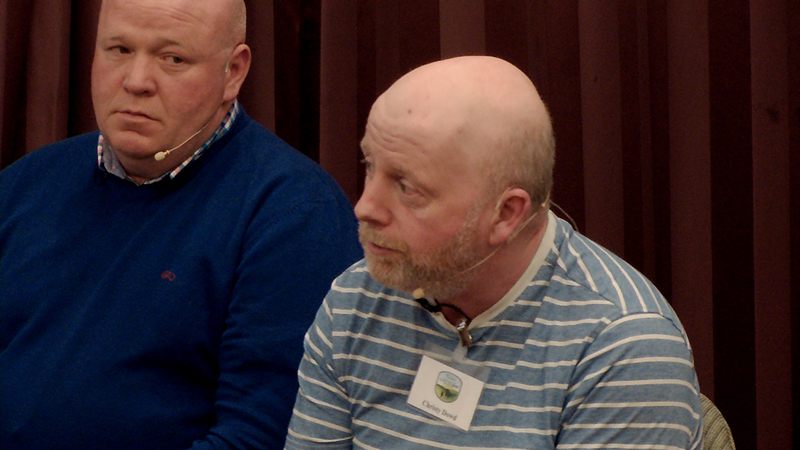 Similarly, Michael Ryan – farming near Ballymore in Co. Westmeath – entered the Green Acres programme in 2015. Like Christy, Michael’s aim was to: increase beef output; improve animal health; and the overall financial performance on his farm. Michael traditionally ran a suckler-to-weanling system and over the last number of years he started rearing dairy calf-to-beef stock. As the numbers of calves reared grew, Michael decided to get out of the suckling enterprise altogether and concentrate solely on the calf-to-beef enterprise. One of the major objectives for Michael was to increase grass utilisation on his farm. Therefore, in order to ensure that enough high-quality grass is available, soil fertility needed to be at optimum levels. “Initially at the start, we soil tested to identify where the indexes were at. From there, we implemented a fertiliser plan. “The introduction of a paddock system was a huge advantage in my opinion. Cattle were restricted and we achieved better graze outs and, in the end, we grew more grass. We were able to identify the areas that were low in indexes and the paddocks were a huge addition. “I would have used both permanent and temporary fencing. Where we reseeded, we put down more permanent fences, but we still used the strip wires and they have their advantages too,” the Westmeath native explained. “Another thing that I wasn’t doing was silage testing. I grew good-quality silage and my meal bill dramatically reduced. I got a lot in that sense because I wasn’t experienced on this area when I entered the programme,” Michael added. It is vitally important that farmers operating calf-to-beef systems implement a heath plan. This is another area where Michael improved. “We put a full vaccination programme in place. That was a big difference for me because I wasn’t vaccinating initially, but I always vaccinate now; I found this made a huge difference,” he added. As a result of growing better-quality grass, the stocking rate was increased, therefore allowing more cattle to be carried on the farm. Michael also advised the phase two farmers to get involved as much as possible. 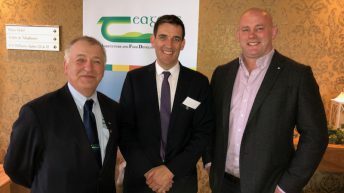 In phase two, to achieve the above target (€500/ha net margin), the farmers involved will be under the guidance of newly-appointed programme advisors, Seán Cummins and David Argue. The dedicated programme advisor for the first phase was Gordon Peppard. 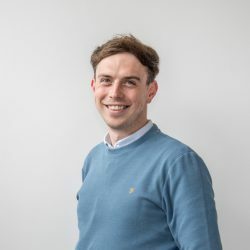 Michael explained the advantages of having this expertise available anytime. “Gordon was with you once a month. You would be talking to him at least once a week if not more. Any of the bigger decisions he was at the end of the phone. “I got on well with Gordon, he was easy to work with and he was committed. He was so accessible and he knew what was going on; he had his finger on the pulse. “It can only be a good thing to have two advisors for the second phase. Sometimes Gordon was stretched geographically, so having two advisors will help this,” he concluded.